Todd Neuman, Executive Vice-President for the Americas for South African Airways, Africa�s most awarded airline. He is a 35-year airline and travel industry veteran responsible for all South African Airways' commercial operations in North, Central and South America. Todd leads a team of 90 colleagues that oversee sales, marketing, reservations, customer relations and finance for the region. Only the longest range private jets can fly nonstop from North America, Europe or Asia to South Africa, making commercial airlines the way 9 in 10 elite travelers make the trip.With a long history of catering to passengers on ultra-long long haul flights, national airline South African Airways is now building out its regional network as more and more elite travelers visit the Continent to tap into its fast growing economies. Recently Elite Traveler, Douglas Gollan, spoke with SAA Executive Vice President Todd M. Neuman to get an update. ET: Can you give us an overview of South African Airways? Todd M. Neuman: We�re one of the oldest airlines in the world an next year will celebrate our 80thanniversary. We�ve been serving the U.S. market for 45 years. We have the most service to South Africa from the U.S. of any airline with seven nonstop flights a week from New York JFK to Johannesburg and daily flights via Dakar between Washington, D.C. and Johannesburg. ET: Are there any things that distinguish South African Airways? Todd M. Neuman: Flying to South Africa is 15 to 17 hours from North America, 12 hours from Europe and 15 hours from China. Most of our intercontinental route network is ultra long-haul, so South African Airways has always been known for having a premium product because you really want to have good service when you are traveling [for such a long flight]. We�ve won many awards and we fly airplanes that are designed for these type of long flights like the [Airbus] A340. ET: What type of premium class offerings do you have? Todd M. Neuman: We don�t offer First Class. We have a premium Business Class with seats that go completely lie-flat and horizontal like your bed (not on a slope). We were one of the first airlines to have seats that went 180 degrees flat going back ten years now. You get fitted bedding including a mattress pad, duvet, oversize pillows. There is a huge selection of on demand videos and we have gourmet meals. Our menu options are created by leading South African chefs and our wine cellar in the sky features top South African wines. We�ve been rated by Skytrax as a four-star airline for 11 consecutive years. ET: Besides the U.S., where does South African Airways fly? Todd M. Neuman: In Europe we serve London, Frankfurt and Munich. We also opened Johannesburg to Beijing flights in 2012 in addition to Hong Kong, Mumbai, Sydney, Perth and in South America Sao Paolo and Buenos Aires. ET: Have you seen growth in business travel? Todd M. Neuman: We�re seeing change in the mix. South Africa was always thought of as a leisure destination but our mix of corporate travel is growing. In the past 18 years South Africa has become the economic engine of the Continent. In fact the economy is so strong they expanded BRIC to BRICS, adding the S for South Africa to Brazil, Russia, India and China. There is strong growth in mining, pharmaceuticals, automobiles, oil and agriculture. In the past 14 months we have launched seven new destinations in Africa from Johannesburg, including Kigali, Abidjan, Brazzaville and Cotonou. ET: Is Africa going to experience the same type of consolidation and airline mergers we�ve seen in the U.S. and now in Europe? Todd M. Neuman: Aviation is growing very fast to and within Africa so it is a different situation. Bilateral agreements are restrictive or in some cases non-existent. There�s been talk but nothing imminent. ET: Is South African Airways looking at a private jet service such as Lufthansa, Korean Air or Qatar Airways that enables travelers to fly long-haul then use private jet services regionally? Todd M. Neuman: It�s not something we�re planning. The new service will be available four days a week, Monday, Tuesday, Thursday and Saturday, with continuation to Johannesburg. As a result of the new service, South African Airways will reduce its current flights from Dulles to Dakar, Senegal and onwards to Johannesburg to three days a week with operations on Wednesday, Friday and Sunday. To mark the occasion, the airline is offering a special introductory fare of $800 round-trip (with restrictions), available for purchase from May 27 to June 26, for travel between August 3 and October 31. South African Airways received the "Top Producing Airline" award at the annual South African Tourism Ubuntu Awards in New York City on April 13th. The Ubuntu Awards honors key travel providers in North America that excel at promoting travel to South Africa. The airline was recognized for contributing to the growth of travel to South Africa through a number of initiatives, as well as its daily nonstop flights from New York-JFK and direct flights from Washington D.C.-IAD (via Dakar, Senegal) to Johannesburg. SAA also offers codes share services with United Airlines, Air Canada and JetBlue Airways, which provide convenient connections from more than 30 North American cities to SAA's flights. Whether passengers are travelling Premium Business Class or Economy Class, South African Airways takes luxury travel to a new level and the legendary South African hospitality makes SAA's flights the best way to start any South African experience. As the predominant airline from the U.S. to Southern Africa, South African Airways took a leading role in 2015 in developing the "Go See Southern Africa" campaign to emphasize the great experiences and the great value that abound for travel throughout the region. SAA vigorously worked with leading tour operators, hotels and safari lodges in Southern Africa to generate increased awareness and encourage travel to the region. As part of Team South Africa, SAA also partners with the South African Diplomatic Corps and related organizations, such as South African Tourism, Wines of South Africa, Brand South Africa and the South African Chamber of Commerce in America, to champion cultural and industry efforts, and it supports a number of charitable organizations that perform work in South Africa. "We are extremely proud to receive this award from South African Tourism, whom has been a long-standing partner of South African Airways in promoting South Africa to the North American market," says Marc Cavaliere, Executive Vice President for South African Airways in North America. "Our desire to stimulate travel to the destination is stronger than ever and we will continue to collaborate with South African Tourism to showcase the exceptional experiences that South Africa offers travelers." South African Airways serves 67 destinations worldwide in partnership with SA Express, Airlink and its low cost carrier Mango. SAA is a Star Alliance member and the recipient of the Skytrax 4-Star rating for 13 consecutive years. South African Airways (SAA) (Johannesburg) has resumed nonstop service on its daily flight from Johannesburg to New York-John F. Kennedy International Airport, effective March 7, 2015. While SAA�s daily flight from New York-JFK to Johannesburg has operated on a nonstop basis for several years, the return flight was making a 1-hour enroute stop in Dakar, Senegal, during the low season winter months. Due to the popularity of this route, SAA�s service between New York and Johannesburg will, once again, operate nonstop in both directions on a year-round basis. The resumption of the nonstop service on the northbound flight from Johannesburg to New York-JFK reduces the overall travel time on the route by nearly 90 minutes, making it the fastest way to travel from South Africa to New York. SAA�s flights between New York-JFK and Johannesburg are operated on wide-body Airbus A340-600 aircraft, featuring 42 full-flat 180� beds in Premium Business Class and 275 seats in Economy Class. SADC countries would need to align their visa requirements in order to be included in a single-entry univisa. For South Africa to be included in a single visa for all Southern African Development Community (SADC) countries, all other participating countries would be required to align their visa policies with the current South African visa requirements. This is according to the Department of Home Affairs Spokesman, Mayihlome Tshwete. In an effort to market SADC as a tourism destination, 15 SADC member states signed the Protocol on the Development of Tourism in 1998. Since then, Zimbabwe and Zambia have launched a univisa, or Kaza visa, on November 28. South Africa has been excluded from stage two of the Kaza visa which will include Botswana, Namibia and Angola. However, countries to join the Kaza visa in stage three include, Mozambique, South Africa and Swaziland. Speaking to Tourism Update about the possibility of SA�s inclusion in the univisa, Tshwete said the participating countries would have to come to an agreement to create one visa. South Africa�s new regulations, which officially took effect in October last year, require people travelling to SA on a visa to apply for the visa in person and to submit biometric data. In contrast, Zimbabwe and Zambia introduced e-visas in 2013 and 2014 respectively. Tourists travelling to the two countries can apply for visas online, while many nationals qualify for visas on arrival. FORT LAUDERDALE, Fla., Dec. 16, 2014 /PRNewswire/ -- South African Airways (SAA) has been, for the 11th consecutive year, honored by Global Traveler Magazine, as "Best Airline in Africa" in the magazine's annual GT Tested Reader's survey. The magazine presented the award to SAA at its award ceremony held on Dec. 15th at the Peninsula Beverly Hills Hotel in Beverly Hills, CA. SAA was recognized by Global Traveler readers for its consistently high service that keeps it in the world-class category and best in the region year after year. SAA also received honorable mention in this year's survey for, "Best Airline for Onboard Service", "Best Flight Attendants" and "Best Airport Lounge". "We are honored to receive this award and thank Global Traveler and its readers for, once again, selecting South African Airways as the best airline for travel on the African continent," said Marc Cavaliere, Executive Vice President for South African Airways in North America. "SAA continually enhances its products both in the air and on the ground to meet the needs of today's discerning international business travelers and it is gratifying to see that our efforts are being distinguished." "Congratulations to South African Airways for 11 consecutive wins as, 'Best Airline in Africa' in our annual survey," said Francis X. Gallagher, CEO & Publisher of Global Traveler. "I know from personal experience what an exceptional airline SAA is and it's quite clear that our readers recognize it, as well. From service to product, everything at SAA is first-rate. SAA is not only a GT Tested Reader Survey award winner, but they are also a former 'Airline of the Year' and an inductee into the Global Traveler Hall of Fame. 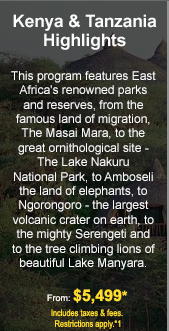 There's really only one option for travel to and within Africa, and that's South African Airways." South African Airways offers the most flights from the U.S. to South Africa with daily nonstop service from New York-JFK Airport and daily direct service from Washington, DC-Dulles Airport to Johannesburg. From our Johannesburg hub, SAA and our regional airline partners offers convenient flights to over 55 business and leisure destinations throughout the African continent. In 2014, SAA celebrated its 80th anniversary of service and also accepted the Skytrax World Airline Awards for, "Best Airline Africa" for the 12thconsecutive year and "Best Airline Staff Service Africa" for the third year. South African Airways (SAA) has spread its wings far beyond its namesake nation. SAA annually carries more than 6 million passengers to and from more than 30 cities in about 30 countries on six continents. Through code sharing agreements, the carrier serves more than 700 destinations worldwide. It is a member of the Star Alliance network, which includes Lufthansa and United Airlines. SAA boasts a fleet of about 30 Airbus jets and around 30 Boeings. Subsidiary SAA Technical provides maintenance services. Now it is easier than ever for travelers flying between Canada and Africa with the convenient interline agreement between South African Airways and Porter Airlines. Seamless connections can now be made with Porter Airlines' flights between their Toronto Billy Bishop City Airport hub and SAA's gateway at Washington, D.C. (Dulles) for daily flights to Dakar, Senegal and Johannesburg, South Africa. From SAA's Johannesburg hub, flight connections can be made to more than 45 destinations throughout the African continent. The new interline agreement between SAA and Porter Airlines represents a new choice for both business and leisure customers, with both airlines offering extensive route networks throughout their respective regions and onboard service that features a premium flying experience. The connection opportunities via Washington, D.C. (Dulles) are convenient, and travelers who book interline tickets with SAA and Porter Airlines will be able to check their baggage through to their final destination. Interline tickets between SAA and Porter Airlines can be booked and ticketed through the GDS or online atwww.flysaa.com. For additional information, contact SAA Reservations at 1-800-722-9675. 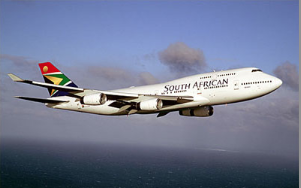 As the proud national carrier of South Africa, South African Airways is, once again, offering special airfares for North American delegates attending Indaba in Durban, South Africa, May 11-14, 2013. Indaba, which is hosted by South African Tourism, showcases the widest variety of Southern Africa's best tourism products and attracts international visitors and travel trade media from around the world. Indaba provides a wonderful opportunity to meet with some of Southern Africa's top travel suppliers to learn how to better market and sell the unique products and destinations that are featured throughout the region. SAA's special round-trip airfares for Indaba are just $599* for Economy Class or $5,199* for Premium Business Class from New York (JFK) or Washington, D.C. (IAD) to Johannesburg or Durban. Special add-on fares for domestic and regional flights on SAA for pre/post tours are being offered, starting at just $40* each way. Travel must commence between May 4-10, 2013 and return travel must be completed by May 27, 2013. 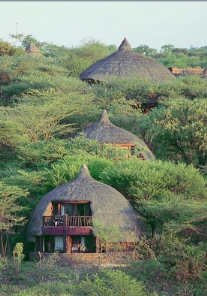 With Indaba in less than a month, seats at this special fare are going fast. For more information on SAA's Indaba 2013 airfares, please contact South African Airways' Reservations at 1-866-359-7227. ADVERTISING BANNERS ON TOP PAGES ON THIS AND OTHER WORLDSCENE SITES.